Jesus, Paul, And The "Feds"
How some early Church leaders and founders dealt with the Roman Federal law enforcement community. In the years that Salem The Soldiers Homepage has been in existence, more than a few eyebrows have been raised by my extensive commentary on law enforcement. My frequenting some of the more ultra-Conservative print and talk forums has brought with it a inevitable friction because of that. In many peoples minds, having the Federal Bureau of Investigation (FBI) logo displayed prominently on the government page of my Conservative Christian site is tantamount to sacrilege; a pig being slaughtered on the alter in the Jewish Temple as it were. Its party-line to hate the cops. Its even more so these days concerning the Federal law enforcement community. With the battle over States rights and the encroaching influence of the Federal law enforcement framework on local LE affairs, especially since the early sixties, its become the prevailing course to oppose them in a furtive effort to maintain a balance between State and Federal power. So everybody should be on the hate the Feds bandwagon, right? That, for a number of reasons I hope to clarify here, from Biblical precedent modeled by the great Church founders, Jesus and Paul themselves. These are personal observations, nothing more. In todays American society, where the powers that be currently seem so hostile towards people of Conservative Christian background, the Bible and the history contained therein holds some evident answers concerning how the Church is to conduct her affairs, especially within a nationally occupied situation, within a spiritually and politically hostile environment. When I say occupied, I am spiritually referring to this nation, which was uncontestably founded on Christian and Biblical principles, being over-run and occupied by principles referred to in the Bible as doctrines of devils. (I Timothy 4:1) Liberalism, Marxism, and Socialism? Doctrines of devils. Humanism and the teaching of the Evolutionary beginnings of man? Doctrines of devils. Relative truth and subjective morality? Doctrines of devils. Abortion on demand and as a viable birth control/population control technique? Doctrines of devils. All are inherently hostile towards Biblical Christianity. These ideologies, philosophies, and trends are simply the outward signs of a nation in rebellion against Gods Will and His Word. The ensuing social tensions and conflicts are an inevitable by-product. Yet, the Church (The true Church not the apostate, liberal, unbelieving church) has done much to rebel against the temporal, tangible manifestation of this occupying force, while completely ignoring the root causes of why this force has invaded in the first place. Again, banging on the symptoms of sin, and not the foundations of national sin. The prophet Habakkuk was shrewd enough to understand this when he prayed to the Lord in Habakkuk chapter one, . . .Art thou not from everlasting, O LORD my God, mine Holy One? we shall not die. O LORD, thou hast ordained them for judgment; and, O mighty God, thou hast established them for correction. As he decried the violence and misery that had overwhelmed the land when the Chaldeans invaded, he acknowledged it was because of their own rebellious doings. So too, do we see the exact same situation mirrored in what is happening, spiritually and socially, in America today, although the invaders are sight unseen, being largely demonic. I see a parallel here to the siege of Jerusalem in A. D. 68 - 70. Jews had been very slack to obey God, which is why they came under Gentile rule in the first place. Now, some Jews had gotten even worse and started small skirmishes against the Romans and even against the local populace. Why? Because they didn't like the idea of accepting God's judgment for their many, selfish sins. Thus, they tried to escape the dishonorable way, by doing whatever they could to avoid punishment, even if it meant killing their own people. Although it started gradually and the cause seemed just at first, before it was all over, they killed old and young, rich and poor in Jerusalem, the City of Peace, and even drank their blood because of the fierce famine, which had been brought on by their refusal to stop fighting. Throughout the campaign, Titus had offered them safety, money and land if they would stop the rebellion and senseless shedding of blood. He even sent their captured General Josephus to speak to them in their native tongue and offer them immunity if they would simply stop fighting. 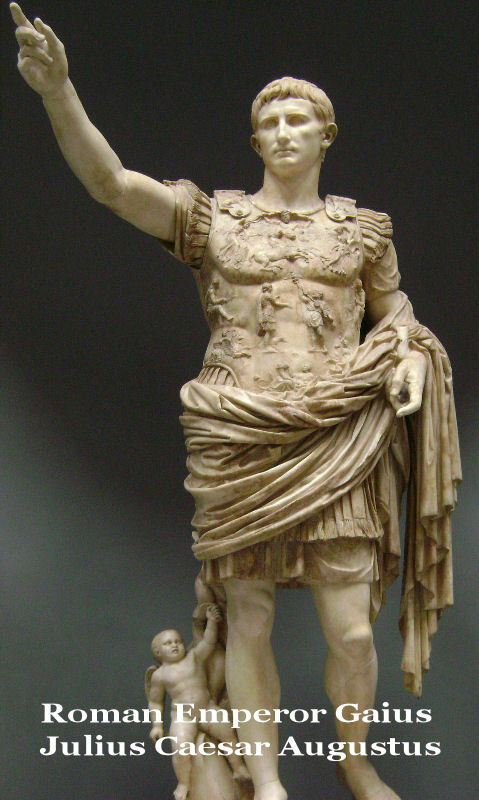 For a few who did accept the Roman offer, Titus gave them land and money in a city to themselves, since by then their reputation among neighboring nations was bad. Also, he decided to stop fighting himself, until he heard of the carnage going on inside the city. He kept fighting mainly to save pitiful, defenseless Jews, who were being slaughtered. No, we will obey God. If it is His will that this happen, so be it. As Matthew Henry remarked, "The grace of the gospel teaches us submission and quiet, where pride and the carnal mind only see causes for murmuring and discontent. Whatever the persons in authority over us themselves may be, yet the just power they have, must be submitted to and obeyed. In the general course of human affairs, rulers are not a terror to honest, quiet, and good subjects, but to evil-doers. Such is the power of sin and corruption, that many will be kept back from crimes only by the fear of punishment. Thou hast the benefit of the government, therefore do what thou canst to preserve it, and nothing to disturb it. This directs private persons to behave quietly and peaceably where God has set them, I Timothy 2:1, 2. It may be God's will to grant reformation of His Church instead of the pandemonium you predict. It is our duty to pray for the governing authorities that we might live in peace. Concurrently we pray that He will judge our magistrates to repentance, if that is His will. If not His will then He will judge them to destruction. This is the Christian's imprecatory prayer; that God will judge to repentance or destruction and replace ungodly men with godly men who will judge justly. The current state of American spirituality and political affairs now lightly addressed, lets go back to first century occupied Israel and the time of the founding of Christianity, and see how the Biblical Christian forerunners operated and responded to the Federal occupying force of the Imperial Roman Empire and their enforcement arm, the Roman Army. One of the most plain examples of the mindset of Jesus our Lord, in His temporal ministry, was His dealings with the Roman Centurion who besought Him to heal his servant. And when Jesus was entered into Capernaum, there came unto him a centurion, beseeching him, And saying, Lord, my servant lieth at home sick of the palsy, grievously tormented. And Jesus saith unto him, I will come and heal him. The centurion answered and said, Lord, I am not worthy that thou shouldest come under my roof: but speak the word only, and my servant shall be healed. For I am a man under authority, having soldiers under me: and I say to this man, Go, and he goeth; and to another, Come, and he cometh; and to my servant, Do this, and he doeth it. First, this Centurion, this Roman Federal agent, was clearly a believer, even calling Jesus Lord. It is clear from his response to Jesus that he possessed great faith in God. He was also submitted to the Old Testament protocols of that time, approaching God through the Jewswhich Jesus wasand was in compliance with those protocols. No, He commended him for his great faith. He held him up as an example against His own people. He didnt pigeon-hole him to dehumanize him. He healed his servant. Then at another point, we read where Satan, working through the Pharisees, tried to hobble and silence Jesus through coercion, intimidation, and fear of the governing authorities, that being Herod at the time. Jesus saw right through that, and would have nothing of it. He knew that His Father in Heaven had goals and objectives for Him in His life, that being the destruction of sin and the ruinous work of the devil at the cross. He knew that The steps of a good man are ordered by the LORD: and he delighteth in his way. (Psalm 37:23) He knew even the Federal law enforcement community couldnt do anything to oppose Gods work and Will in His lifeindeed, the same work in all our livesuntil it was thoroughly accomplished. So, Jesus was somewhat blunt in His response to this silly threat, as it wasnt really a threat at all, and continued to operate in spite of the Federal presence. Another powerful example of a Christian and a leader in the Church dealing with an onerous law enforcement framework was Paul. Throughout the whole book of Acts and his ministry, Paul not only dealt effectively with the local and Federal law enforcement community, he thrived within it. Paul, at one time was a law enforcer, an officer representing a governing body, as we see recorded in the beginning of Acts 9 where he was given authority by the Jewish religious high command to bring any Christians he found, bound to Jerusalem (before the Lord recruited him on the road to Damascus). So its true he might of had some pre-existing sympathy for the cops. Paul had a lot of street contacts with the Feds. I think Paul had a fantastic relationship with the Feds. I think Paul was quite comfortable around Federal and Local law enforcers, and was even grateful to them from time to time. Actually, what choice did he have but to make the best of it, as he was in State and Federal custody a lot anyway. We read about one notable example of Paul in custody, they way he and Silas responded to it, and then the way Paul responded to the Phillipian jailer. If Paul had hated the cops, if he had an attitude of disrespect and contempt for them, he would surely have said nothing as this honorable jailer had committed suicide for his misguided belief he had let his prisoners escape. But Paul stopped him. Paul and Silas ended up witnessing to this, what would be a modern day correctional officer, and leading him and his house to the Lord. In Paulss mind, law enforcers were not enemies or people to be avoided and mistrusted, but people who he saw needed a real and dynamic relationship with the Lord, like everybody else. Another example, in Acts, chapter 21, we see where Paul had found himself in the middle of a near riot situation as the Jews of the city were enraged at him. As they were in the process of pounding him into a bloody pulp, the local law enforcers strode in there, probably in full armor (riot gear) prepared for crowd control, and quite literally had to carry him out on their shoulders. Was Paul glad to see the local cops? Im sure he was! Im sure he was quite gratified to see these law men muscling through the crowd, shouting commands and shoving people aside to get to him. Im sure he realized after that, that the Lord had Providentially protected him through these law enforcers so that he could continue on with his ministry. It possibly could have been all over right there. But the Lord used the Feds to protect him. Another example we see of Pauls attitude towards the Federal law enforcement community and, indeed, their established respect and trust of him, can be seen in the account of the shipwreck in Acts 27. Indeed, we read that the Centurion, Julias, in charge of the prisoners and before the departure, ... courteously entreated Paul, and gave him liberty to go unto his friends to refresh himself. What a wonderful thing! How many Federal or Local cops would let a prisoner in custody do that?! The great trust between these people is undeniable. As the journey by ship took place, we see that a great storm overtook them, yet with Pauls counsel, that encouragement being received from the Angel of God, they grounded the ship on the island of Melita. The soldiers in charge of the prisoners wanted to kill them, lest they escape, but the relationship Paul had established with the Centurion, the senior officer in charge, prevented that also. When Paul finally made it to Rome, we see the Centurion delivered the prisoners to the captain of the guard: but Paul was suffered to dwell by himself with a soldier that kept him. Protective custody. In the final chapter of Acts, we see that Pauls reputation, integrity, and his open relationship with the Roman Federal law enforcement community served him well, even for many years afterwards. In light of clear Biblical and historical Church precedent for Christians in dealing with the governing authorities, much of the material I read, especially on modern day Conservative sites, and attitudes I see on the part of people who claim to be Christians, is discouraging. True, in America, we need to hold our law enforcement agencies accountable and the federal law enforcement community responsible for their actions. True, in America, the original arrangement of the Constitution laid out clearly the dispersal of power through the nation, bounds which the FBI is over-stepping while, in other areas, completely wrecking their credibility in the eyes of the country. And true, as a personal position, I support the local LE agency over the Federal, simply because they are accountable to the communities they police. However, these trends are all transitory and fleeting temporal issues reflecting a fundamentally spiritual problem. "Christ spent his entire life in a region occupied by troops of a foreign conqueror. Hence, his message was delivered in an occupied country. Still, the gospel records indicate that he never gave the slightest support to any movement aimed at a military revolution that might bring national freedom." Today, in America, the nations salvation and final hope lies in her pulpits. She waits for those courageous and qualified ministers of the Gospel who, like Jesus and Paul (the real deal), will not be detoured away from, or intimidated into silence, by the enemy, Satan, in addressing the most pressing politically incorrect issues of our times. Most certainly not worrying about their tax exempt status. Who provides for the Church? The benevolence of the Federal government? Oh, please. How transparent is that? Both Jesus and Paul recognized the primacy of the spiritual realm as the command sphere in their outreach to the world around them, the paramount fundamental purposes and work of God the Father in their lives, and the rule of correction by the Sovereign Hand of God wrought through the oppressive Imperial Roman Army over their nation and stratum of influence. Yet, their relationship with the Local and Federal law enforcement community was not unfriendly nor antagonistic, but a mutually counterbalanced combination of Supremely ordained forces working to accomplish the Will of God in the world. As solid Church leaders, they operated in the midst, right out in front of God and everybody, in spite of the Roman Federal force. No demonizing and inflammatory rhetoric, no posturing and saber rattling like we see so much of today. As I have laid out, the policy and precedent of Jesus and Paul concerning interaction with law enforcement, both Local and Federal, is pretty clear, at least from personal individual observation. I believe it is Biblical, so maintain it as policy within my own area of influence. The Lord used the Feds to Providentially protect His people, and His work, and save Pauls' skin more than once. One day He may use them to save mine. The Pen Is Mightier Than The Sword!! To return to Salem the Soldier's Archives, just click on the 'S'! "Jesus, Paul, And The 'Feds'" © 2000 Michael A. Baker. Full reprint with written permission only, except for the inclusion of brief quotations in a review or article. This material is copyrighted to prevent altering or reproducing for profit. Permission is granted to the reader to forward all writings from "Salem the Soldier's Homepage/Michael A. Baker," without altering, to friends, groups or other ministries or to copy for similar or personal use.